1.What does ‘jps’ command do? It gives the status of the deamons which run Hadoop cluster. It gives the output mentioning the status of namenode, datanode , secondary namenode, Jobtracker and Task tracker. Step-2. Write sudo hdfs (press enter), su-hdfs (press enter), /etc/init.d/ha (press enter) and then /etc/init.d/hadoop-0.20-namenode start (press enter). 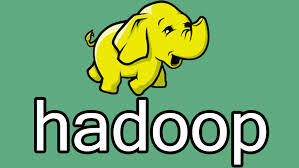 3.Which are the three modes in which Hadoop can be run? What does /etc /init.d do? 4.What if a Namenode has no data? It cannot be part of the Hadoop cluster. 5.What happens to job tracker when Namenode is down? When Namenode is down, your cluster is OFF, this is because Namenode is the single point of failure in HDFS. 7.What are the four characteristics of Big Data? Volume − Facebook generating 500+ terabytes of data per day. Velocity − Analyzing 2 million records each day to identify the reason for losses. 8.How is analysis of Big Data useful for organizations? 9.Why do we need Hadoop? Everyday a large amount of unstructured data is getting dumped into our machines. The major challenge is not to store large data sets in our systems but to retrieve and analyze the big data in the organizations, that too data present in different machines at different locations. In this situation a necessity for Hadoop arises. Hadoop has the ability to analyze the data present in different machines at different locations very quickly and in a very cost effective way. It uses the concept of MapReduce which enables it to divide the query into small parts and process them in parallel. This is also known as parallel computing. The following link Why Hadoop gives a detailed explanation about why Hadoop is gaining so much popularity! 10.What is the basic difference between traditional RDBMS and Hadoop?